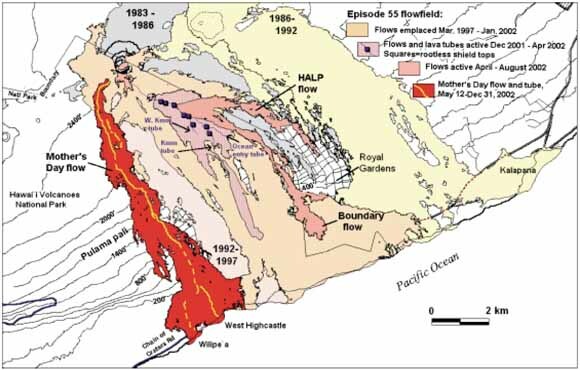 The Hawaiian Volcano Observatory (HVO) summary presents seismic data gathered during the year and a chronological narrative describing the volcanic events. The seismic summary is offered without interpretation as a source of preliminary data. It is complete in the sense that most data for events of M≥1.5 routinely gathered by the Observatory are included. The emphasis in collection of tilt and deformation data has shifted from quarterly measurements at a few water-tube tilt stations ("wet" tilt) to a larger number of continuously recording borehole tiltmeters, repeated measurements at numerous spirit-level tilt stations ("dry" tilt), and surveying of level and trilateration networks. Because of the large quantity of deformation data now gathered and differing schedules of data reduction, the seismic and deformation summaries are published separately. The HVO summaries have been published in various forms since 1956. Summaries prior to 1974 were issued quarterly, but cost, convenience of preparation and distribution, and the large quantities of data dictated an annual publication beginning with Summary 74 for the year 1974. Summary 86 (the introduction of CUSP at HVO) includes a description of the seismic instrumentation, calibration, and processing used in recent years. The present summary includes background information on the seismic network and processing to allow use of the data and to provide an understanding of how they were gathered.